Catherine Long Gates runs the historic Longs Iris Gardens in Boulder and talks about how her grandfather created the ditch company that the farm still uses. This is part II of a 2 part series looking at how ditches provide water to homes, farms and businesses in Boulder County Colorado. This series won in the Public Radio Mini-Series category at the 2011 Colorado Broadcasters Awards. We follow one of the few female "ditch riders" who explains the ditch irrigation system that provides water to many homes, farms and businesses in Boulder County Colorado. The ditch system dates back over a hundred years and the original principal of "first in time, first in line" still is the basis for much of the state's water laws. This is part i of a two part series which won the Public Radio Mini Series category in the 2011 Colorado Broadcasters Association Awards. A radio documentary looking at how the historic mining town of Gold Hill Colorado was saved on Labor Day 2010, during one of the most destructive wild fires in Colorado history. On Labor Day 2010, the Four Mile Fire in the foothills west of Boulder Colorado became one of the most destructive wildfires in the state's history. Despite all the odds, the historic mining town of Gold Hill, which was right in the fire's path, was saved. This is the story. 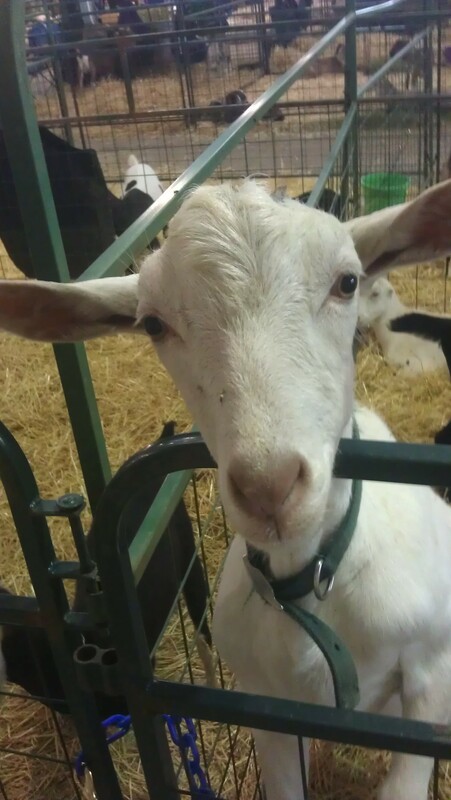 This radio documentary came second in the PRNDI 2012 awards - Documentary - Division C.
We find out how to milk a goat, how goats cheese became so popular, and why goats are (or rather are not) so smelly! Cinemas all around the country are preparing to transition to digital technology as starting in 2013 movie distributors will no longer send out films on 35 mm film. For small cinemas, the cost of that transition could mean the difference between surviving in an already challenging economy or shutting their doors forever. Cinemas all around the country are preparing to transition to digital technology as starting in 2013 movie distributors will no longer send out films on 35 mm film. For small cinemas, the cost of that transition could mean the difference between surviving in an already challenging economy or shutting their doors forever. 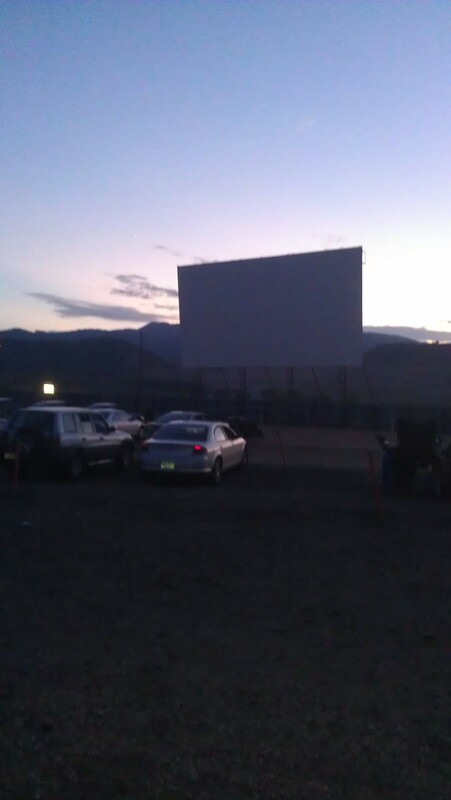 In Colorado, reporter Maeve Conran visited an historic cinema in Estes Park - one of the oldest cinemas in the country - to find out how they’re dealing with the transition. What makes a good Santa? It's not just about the belly and the beard... we'll find out more when we take a visit to a "School For Santas" in Arvada Colorado, then we put one of their graduates to the test when a two year old presents her wish list. An estimated 2 million American children are homeschooled. The majority of these families are Christians who choose to educate their children at home because they feel public education has become too secular. But that is not the case for all families. The majority of the estimated 2 million homeschoolers in the US are Christians with religious or moral instruction and the secular nature of public education being cited as the main reasons many parents choose to homeschool. But that is not the case for everyone. For some families, homeschooling is simply a more convenient choice for educating their children and as we’re about to hear in this next story, many families are finding their children are excelling in academics when they’re taught at home. 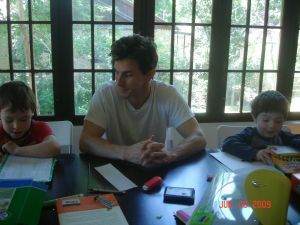 We hear about one homeschooling Dad in Boulder Colorado.